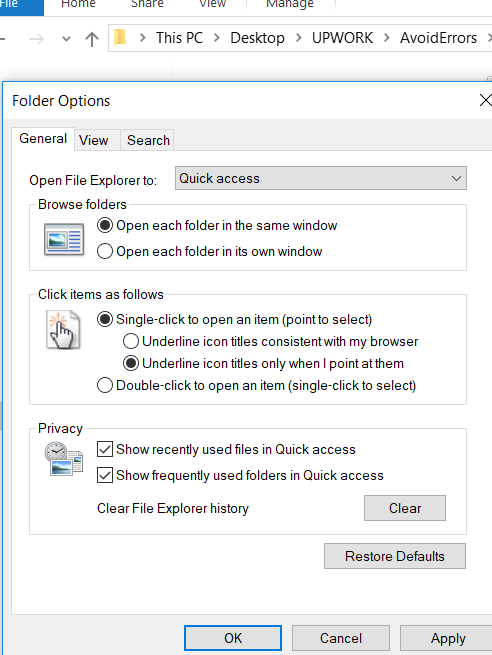 Have you ever wanted to enable to open any file or folder with just a single click in Windows 10, the default way to run a file or open a folder that you do a double click on it, In this tutorial I am going to explain step by step how you can run a single file or open a folder with just one single click, follow the below steps to guarantee a successful result. The single-click mode will allow opening of files and folders with a single left click. This will also enable hovering with the mouse pointer to select items in the folder view. 1. 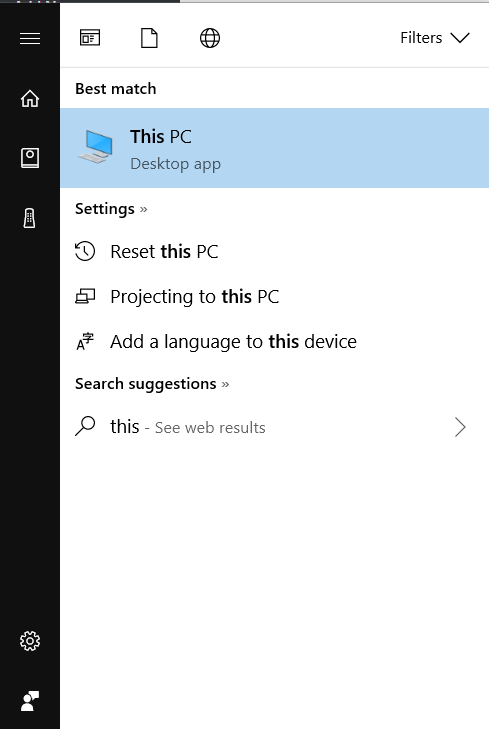 Open “This PC” from your desktop icons, or search for it in the start menu. 2. From the top bar click on “View”, then click “Options” as it’s highlighted in the below screenshot. 3. Make sure to select “Single-click to open an item (point to select)”, just like the below screenshot. After this tutorial, you should be able to know how you can open any files and folders with single click in Windows 10, this method can be also used in the different versions of Microsoft Windows.